Family and friends of Irene Lee gathered at Lee Garden Three for the opening of the new Causeway Bay mall—which includes a vast array of tenants, including the likes of homeware and lifestyle brands KitchenAid, Sub-Zero & Wolf and HOMELESS, to fashion and accessories labels including Undefeated and Mastermind vs. A Bathing Ape. 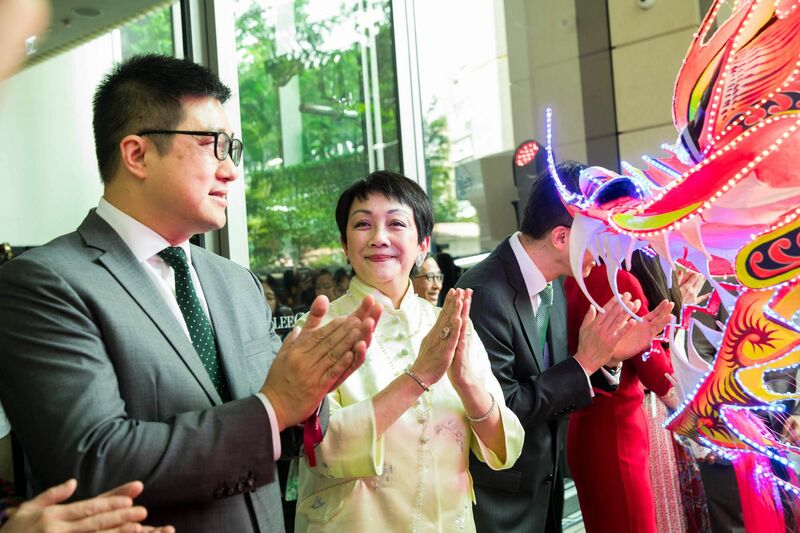 To celebrate the occasion, Lee Gardens partnered with Hong Kong Tatler to host an exclusive preview of the new mall which included a private luncheon. Eleanor Lam, Antonia Li and Feiping Chang were just a few of the VIPs who attended and sampled contemporary Cantonese fare at John Anthony followed with dessert at Japanese café, A Happy Pancake, and an exclusive experience inside The Singleton Sensorium pop-up shop. Irene Lee Executive chairman of one of Hong Kong’s biggest property developers, Hysan Development. Christina Lee Widow of Harold Hsiao-wo Lee of TVB and Hysan Development; manages her investment portfolio.